Edward was the only child born to parents William Charles and Fanny nee Gray who married in 16th April 1895 in Southampton. William Charles was born on 9th March 1870, Daventry, his occupation was a Teacher. Fanny was born in 1872 in Southampton and was also a School Teacher. In the 1901 census the family were living with Fanny’s parents Philip Leman and Charlotte Fanny Gray. Their address was 2 Whitchurch Villa, Spring Road, Sholing, Southampton. By the census of 1911 Fanny was a widow, her husband having died in 1903. She was living at 163 Earls Road, Portswood, Southampton. She was working for the Council as an Assistant School Mistress. There is no mention of her son Edward as he was at the Christ’s Hospital School. There is some query to how Edward actually died. The National Roll of the Great War advises he was killed in a crash, whilst the inscription at Southampton’s Old Cemetery states he died of Leukaemia. 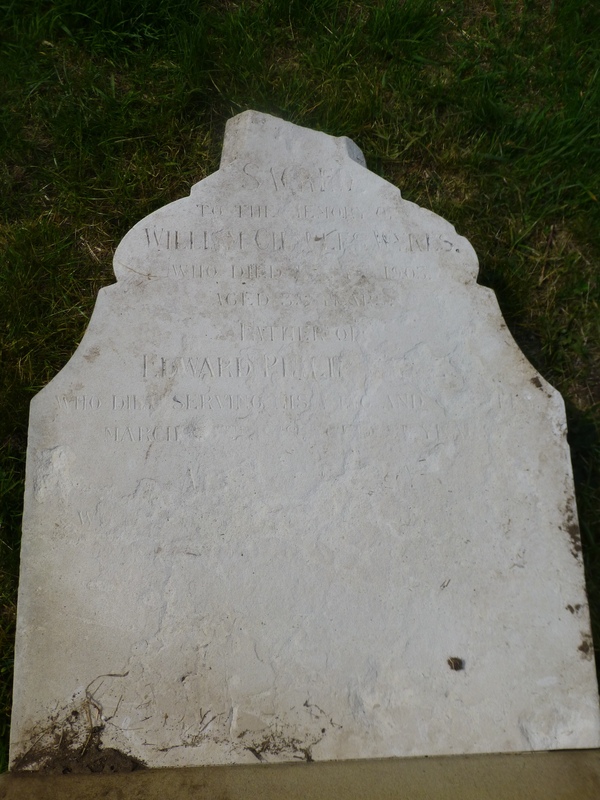 There is also a discrepency regarding his date of death – National Roll has the 26th March, the headstone at the Southampton Cemetery shows the 25th March and Christ’s Hospital Blues has the 27th March. He joined in August 1916 and after passing the necessary qualifications, was engaged, was engaged on important duties as a pilot. He was unable to obtain his transfer overseas, but rendered valuable services with his squadron until 1918. He then had a “crash” and as a result of the severe injuries he received, died on March 26th of the same year. Education and Employment: Edward was born in Brockenhurst on 19th December 1896. 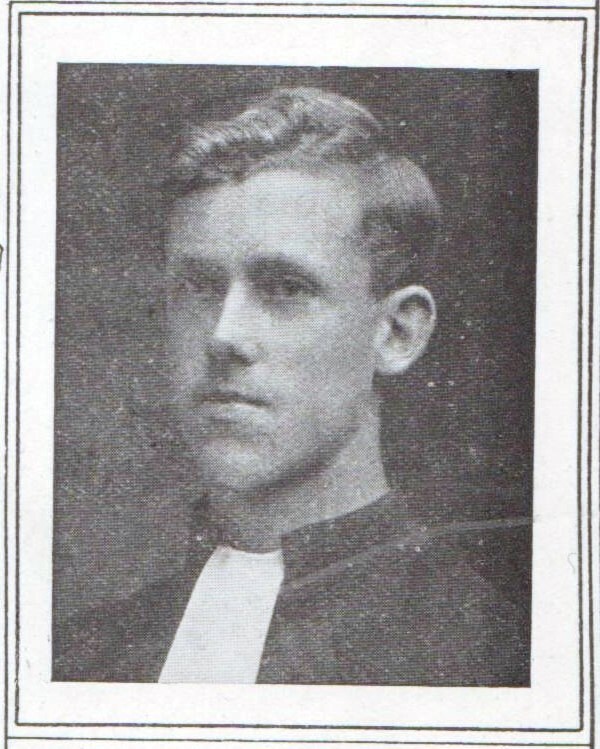 While at Taunton’s he gained a scholarship for Christ’s Hospital, Horsham in 1909. He won many academic prizes. In 1916 Edward went to Trinity College, Cambridge, with a science scholarship. Life during the war: Edward’s family lived in Southampton. His father died in 1903. He postponed his entrance to Cambridge until the end of the war. Edward joined in 1916 and trained as a pilot for the Royal Flying Corps. He was unable to transfer overseas but served his squadron as a second lieutenant until 1918. He died as a result of injuries brought on by a flying accident. Edward was the only child of his mother, and he was buried in the Old Cemetery on Southampton Common. Edward died on 26th March 1918 aged 21 years. Edward studied here from 1909 – 1916. His House/Ward name was LaB. The record shows the date he died on 27th March 1918 and where he is buried. Christ’s Hospital (popularly known as The Bluecoat School, and also by the nicknames “Housey” and “CH”) is an English coeducational independent day and boarding school with Royal Charter located in the Sussex countryside just south of Horsham in Horsham District, West Sussex, England that follows much of the “public schools” tradition. It is a charity school, giving children from poorer backgrounds the chance to have a better education. The school was originally founded in the 16th century in Greyfriars, London and Hertford. “Sergt.-Maj. Edward Philip Wykes, from Christ’s Hospital Officers Training Corps promoted to temporary Lieutenant”.